Meike has released a battery grip and wireless remote that's compatible with the Canon 5D Mark IV. 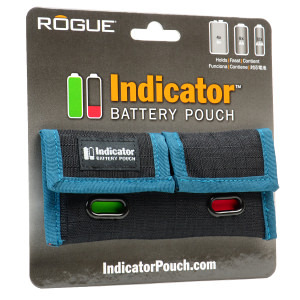 ExpoImaging launches a useful Indicator Battery Pouch that helps photographers to keep track of rechargeable batteries. The CamCaddy charger has had a few upgrades, evolving into CamCaddy2. The PIXO C4 Universal Quick Charger is the one device you need to power numerous devices. Hähnel Industries has expanded their range of accessories with the ProCube charger. 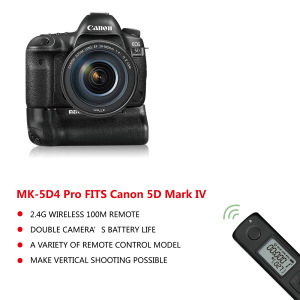 Hahnel have announced a new battery grip for the Canon 5D MK III. Verbatim brings relief to battery issues with a selection of portable power packs. Sigma launch a grip for their SD1 DSLR. Sanyo (Panasonic) has announced new Sanyo Eneloop Pro and Plus rechargeable batteries. If you're looking for a way to remove marks from your iPad's screen Lenspen may have the solution. Quantum Battery Cable for Canon 5D MKII and 7D. 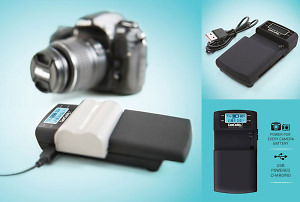 Quantum release smallest and most compact power source for portable flash units.